Most of Gran Turismo Sport’s content is dependent on online access, but before you can hop into a lobby and race people around the world, you’ll have to watch a couple of videos, which resemble well-produced driver’s ed films. The videos discuss how racing can only be enjoyed with an attitude of sportsmanship, and the importance of following both written rules and some sort of automotive social contract on the road. “In addition to being fair and just, sportsmanship also means that you don’t do things that make you look bad,” the narrator says. The second video delves more into improper driving and “things that make you look bad.” Weaving at the front of the pack, bumping and checking, and edging others off the track are all fairly straightforward. Also included is braking too early or late, as well as going off the track due to poor driving. Watching these videos results in a certificate, assuring that you have gained understanding of what is “fair and just” in Gran Turismo Sport. This is going on the fridge. While the intention is well placed, the execution is a little vague. Gran Turismo Sport actually tracks your driving behavior and assigns a letter grade based on how sportsmanlike your driving is. A Sony representative confirmed in an email that while bans won’t be implemented based on sportsmanship, players can use lobby settings to bar drivers below a certain letter grade. It’s fascinating to see the continued pursuit of realism in games, as it can sometimes come to odds with itself. At what point does a system built to emulate life get in the way of its own goals? Whereas games like Madden are already implementing human error in its system through bad ref calls, Gran Turismo is pursuing a level of realism that can effectively prevent some of its players from even experiencing it, policing out mistakes and poor driving. 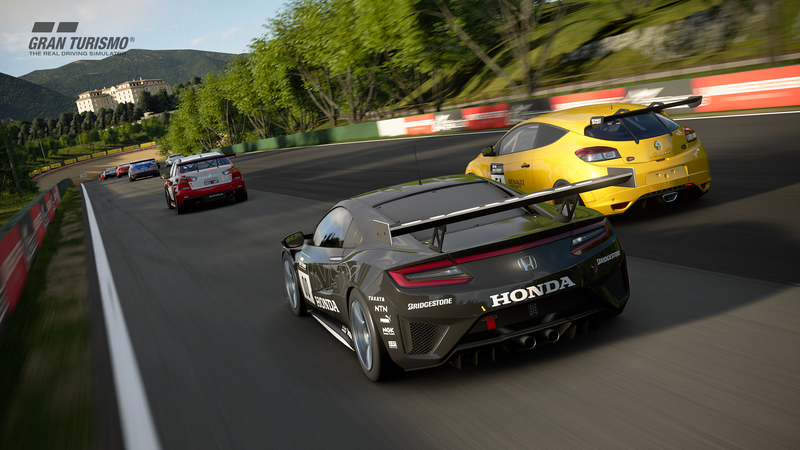 Gran Turismo Sport’s broad approach to punishment could hit a snag, however. If another car hits yours, it counts against your own sportsmanship rating, detecting it as a general collision. That bump from another car, whether a troll or a new player, could cost you some rating even though you weren’t in the wrong. I jumped online to test this whole system out, but my results were inconclusive. After a few matches of bumping cars, I was still able to match up with other players as normal. I was, however, kicked from a few for an undefined reason. There’s a system in place to prevent concentrated trolling efforts. The Sony rep confirmed that if you engage in too much unsportsmanlike behavior in a short period, the game will “ghost” your car, only making your vehicle corporeal again after a short time. Other sim racers like iRacing implement safety ratings as well, and in the pursuit of realism it’s a fine concept to encourage newcomers and vets to learn how to drive like the pros do. The current system, however, doesn’t just encourage overly safe driving, but makes both accidents and intentional hits a detriment for both parties involved.